As a property owner, you have to protect your investment by taking all the necessary steps. You cannot afford to wait any longer if your roof is damaged. 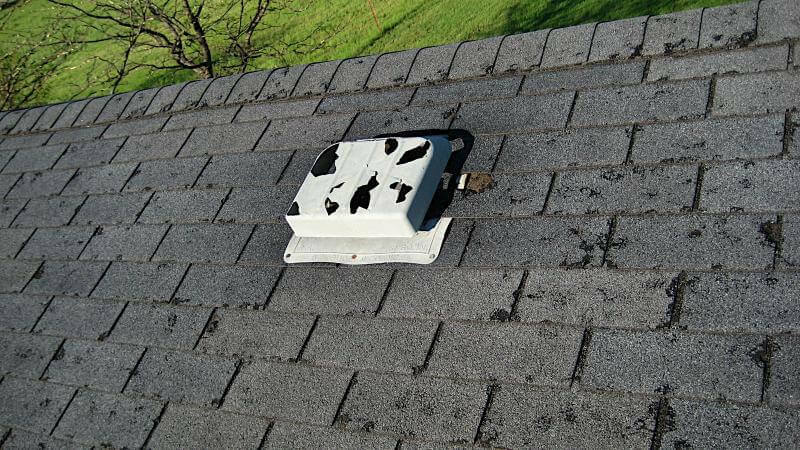 Wind and hail damage to your roof may seem just minimal at first, but if you let it unattended, the damage will only worsen over time. In order to minimize damages as much as possible, you need to ensure that all roof repairs are completed in a timely manner. Even in case of just a few missing shingles or a small hole on your roof, your entire roof might become damaged in short time. If this happens, your only option is to install a new roof. In order to avoid such a costly situation, you need to rely on a reliable company. At the first sign of roof damage you first sign or roof damage you need to call them without any delay. Investing in a house represents a big deal for most people. It requires a lot of financing and good planning in order to make sure you use the best-qualified contractors using decent materials. Whether you plan to replace your home’s roof or you are roofing it for the first time, choosing our company will guarantee your expert services. Our company was voted the best roofing service provider in Crossville, Tennessee. One of the main reasons for this is because we provide services in the entire region and specialize in a wide range of wind and hail roof damage repairs. We provide our services at an affordable rate, no matter what type of roofing service you may need. Our range of services includes everything from complete new roof installations to small roofing repairs. We can handle any type of roofing project you may have, and that’s why most of the homeowners in the region choose us. When you are looking for an efficient roofing company, we are the best solution to count on. Our expertise is a guarantee that you’ll get your roofing job well done while saving both money and time. We always try to make your current roof to last longer. However, when there is not another option left, we will recommend a new roof installation as the last resort. Home owners can count on us to always aim to maximize your current roofing system’s lifespan and give you the best advice. You can always rely on our Crossville roofing company and have confidence in our expertise when you have any type of roofing issues.